In the previous post, we have learnt how to write a program in TestNG. 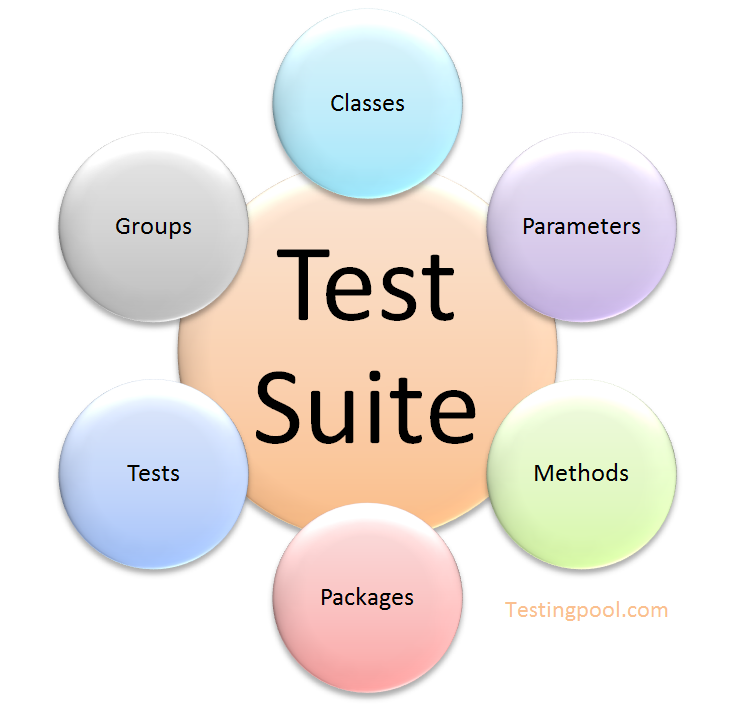 In this post, we will see what is a TestSuite and its usage in TestNG. In any project, you will have a bunch of test cases. In the previous post, we have seen how to execute a single program. What is , we need to execute the whole bunch of test cases altogether in TestNG. This will be possible by building a Test Suite in TestNG. Or in other words, you can say Test Suite is a XML file that includes the set of test cases which need to be executed. This basic testng.xml given below contains the classes and its packages. Step#1 Right click on the project folder –> New –> File. Step#2 A new window will open , give the name as testng.xml and click finish. 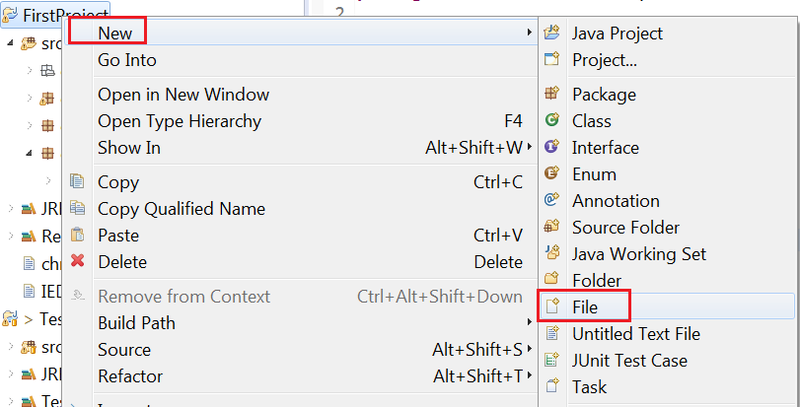 Step#3 It will create a new file where you can add classes that need to be executed. Suppose, we need to add the class as shown below in the figure. 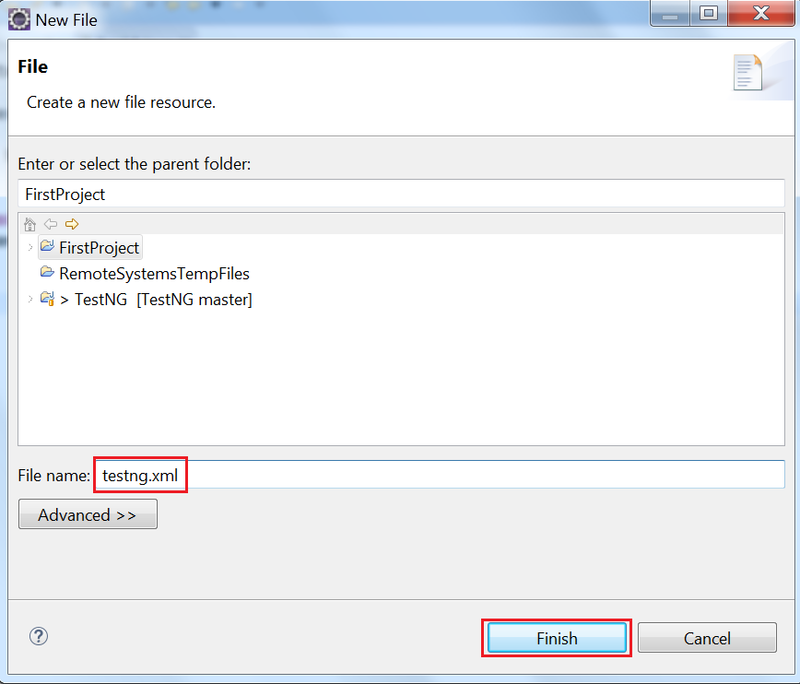 Step#4 Add the class into testng.xml (Test Suite). 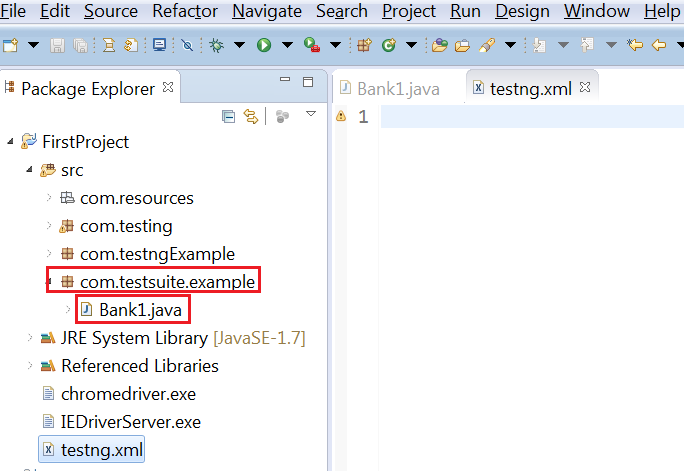 step#5 To run the Test Suite , right click on testng.xml –> Run As –> TestNG Suite. 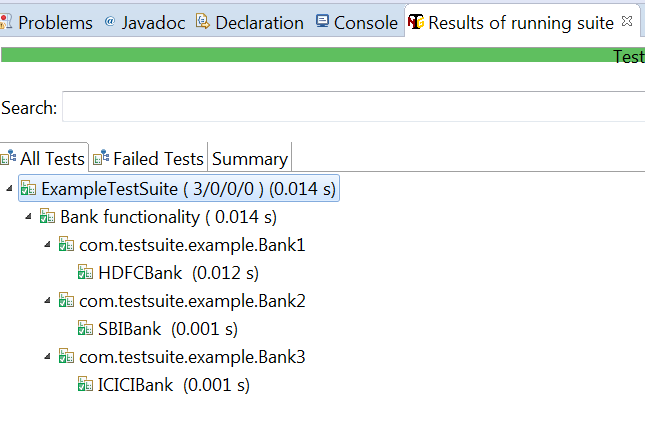 The class that is included in Test Suite. 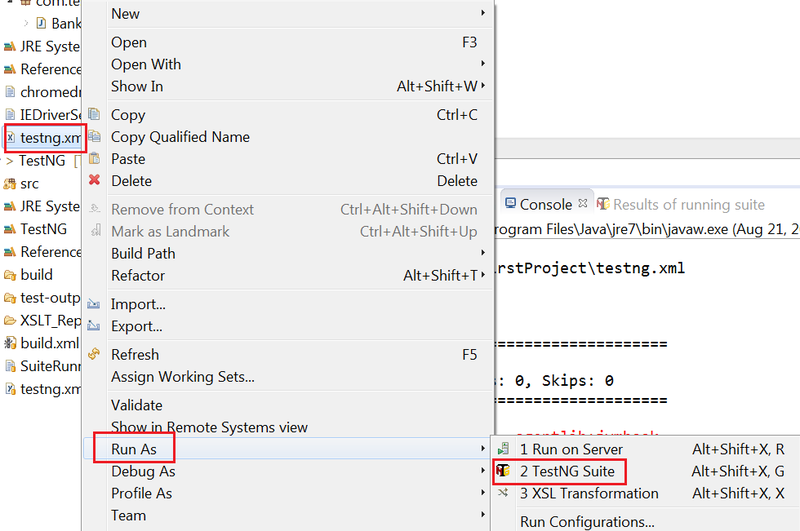 Step#6 After running test suite, Test class will be executed and you will get the below output. Suppose, we have multiple Test classes. 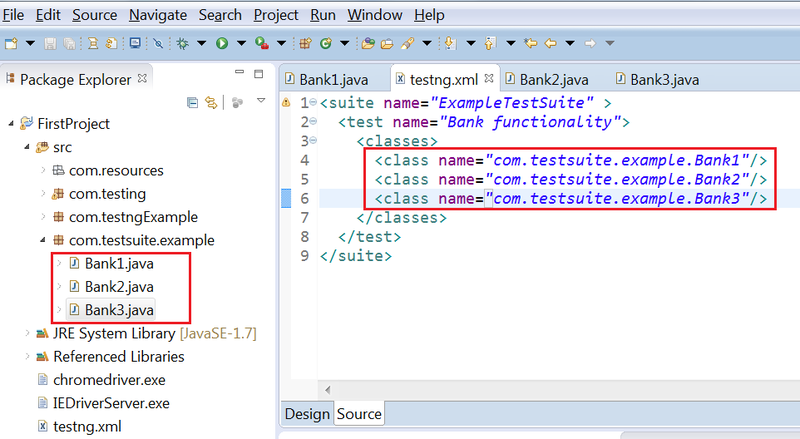 We can add those classes to the Test Suite as shown in the figure below. After running the whole suite , you will see the following output.